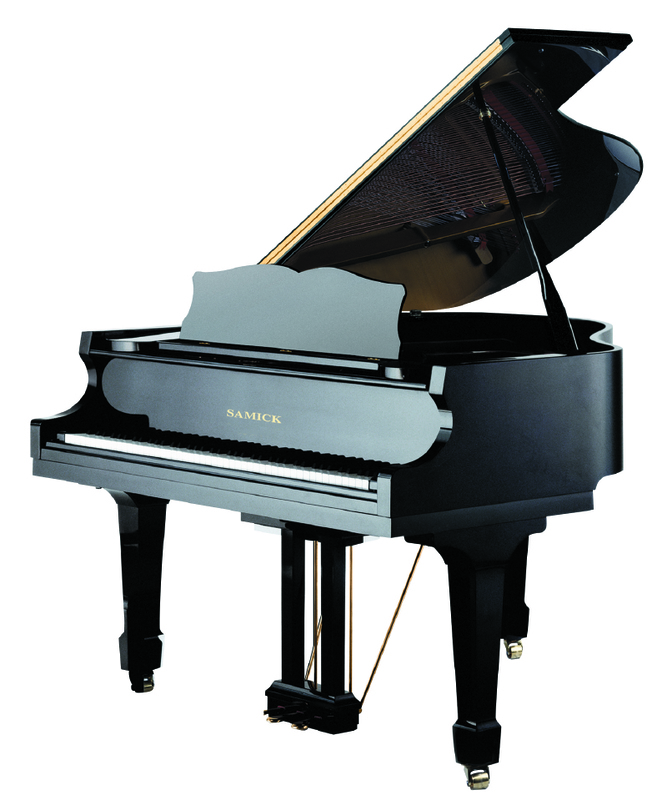 This 5' 0" Samick Baby Grand offers the pianist a great sounding and playing piano at a tremendous value. The world-renowned German scale designer, Klaus Fenner has created these pianos with a warm European voice. By combining the finest materials and craftsmanship with his award winning scale designs, he has created a piano that will make beautiful music for generations to come.K. Gunner Benson's skill and experience in piano design is evident in the refined lines and curves that make these the most beautiful case styles available today. Finishes: Ebony High Polish, Mahogany High Polish, Walnut High Polish, Ebony Satin. Nickel trim available.